Strategizing. Innovating. Branding. Trade Show Execution. Creating Results. It's What We Do. 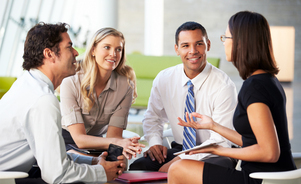 No matter if you have one event a year or hundreds to keep track of, Skyline Metro DC has the skilled people and resources to keep your entire event schedule successfully coordinated. We can assist with every aspect of your event program from the very beginning strategizing how to meet your event goals and assisting with at show promotional ideas all the way through to installing and dismantling your displays on-site. Let us undertake all the details so you can focus on preparing for successful events. 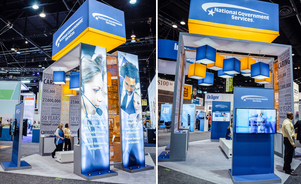 Our exhibit designers are experienced in the three dimensional world of trade shows and events. They recognize that your existing customers, top prospects, industry partners and potentially members of the press will all be meeting in your display at a trade show or event, and they understand how to meet the requirements of all of these different relationship types while properly representating (& building!) your brand. New to the world of trade shows or just trying to stay on top of the latest and greatest trends and proven techniques? 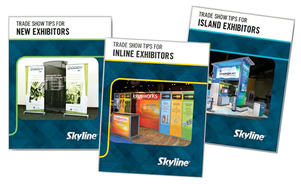 Skyline Metro DC offers free educational trade show resources, including live local seminars, monthly webinars covering a broad range of trade show topics, and a considerable collection of white papers we are happy to share with you. If you are looking for trade show intelligence, we've got you covered, one way or another! Unsure if you are ready to dive into the commitment of purchasing a new trade show display, but have an event coming up? Have overlapping event dates and only one display? Perhaps you frequently update your brand and image, which changes your look and exhibit design? With Skyline Metro DC you have the ability to RENT an entire trade show display, or just certain accessories to improve your presence at shows where you invest in a larger space than normal. Add custom graphics to Skyline's rental hardware and you can still create a distinctive display without the capital investment. 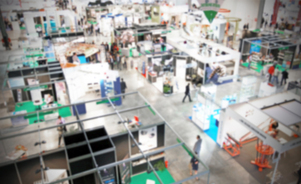 The trade show floor can be a chaotic environment, especially during set up and tear down times. Between waiting for crates to be stored or brought back, to fork lifts whizzing by and everyone rushing to make sure everything is perfectly set up (or packed away), I&Ds can be a bit overwhelming. The best way to ensure your booth is set up and dismantled accurately, on time and in a professional manner is to let trained Skyline specialists take care of it. Skyline has Certified I&D technicians and supervisors wherever you need us. Need somewhere to store your booth assets in between events? Looking for an easy way to keep track of your trade show schedules, budgets and inventory? 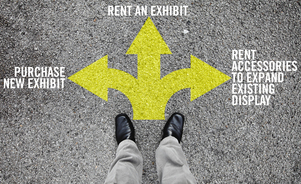 Don't have the internal resources to stage your exhibit before every event, coordinate shipping, and perform return inspections of your display properties? Skyline Metro DC's Asset Management Program could be the right solution for you. Utilize our ExhibitPro software to communicate with our experienced Asset Coordinators and they will take care of all the tedious details of keeping up with your trade show program. Questions about our Event Services? Contact us and we'll be sure to get back to you as soon as possible!